Social media, and specifically social networks, have become an enormous part of how we live our lives these days. It’s a lot more than just a simple way to stay in touch with friends and family; the boundaries of “what matters” online and “what matters” in the real world are merging. For example, I’ve noticed this with birthday recognitions. I know many people who’d prefer to have 300 people write “happy birthday” on their Facebook walls than to receive a phone call saying the same. Why? Because it means something to be acknowledged online in front of the millions of other users (at least that’s the way some think). The same goes with Facebook pictures and “likes” and Twitter and number of followers. For many, their social presence and reputation counts just as much (if not more) than their real-life reputation. How people view them online —cool, popular, intelligent, sociable, etc. —matters. And whether or not people realize it, employers feel the same way, that is, when it comes to hiring. A lot of people are just concerned with their social perception when it comes to their online reputation, but the way you present yourself on social networking sites can affect your professional perception and whether or not you get hired for the jobs you want. LinkedIn is the same as more casual networks like Facebook, Twitter, and Google Plus in one very important way —your profile picture matters and can either say all the right things about you or all the wrong ones. To begin with, you really need to have one in order to help people make a connection with you. Far too many people forgo putting up a photo thinking it will help them avoid discrimination of any kind. Still more people put up photos that make the wrong impression altogether because they look like mug shots or simply aren’t of decent quality. Choose something simple and professional for yours and you can’t go wrong. Brands aren’t just for products and corporations. Any professional should have one and if your LinkedIn Profile doesn’t reflect yours, it could be hurting your chances of making solid professional contacts on the site. 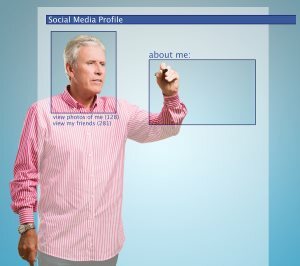 Your profile should be pretty cohesive as far as what it is that you do. Your resume, your bio, and your recommendations should all more or less say the same thing about you. This helps potential employers or headhunters get a feel for who you are and what they can expect from you. A profile that covers too many bases can make you seem scattered and confused. You are so much more than just your current job title and if you’re not utilizing your headline to show that to potential professional contacts, you’re missing a golden opportunity to show give them an idea of who you are. A solid headline should reflect what you do —not your job title, but what you do —as well as the value you bring to the table as an individual. This will not only help you stand out from the competition, but it will show people what you can do for them, as opposed to simply rehashing what you already do for someone else. At the end of the day, being successful on LinkedIn is the same as it is on any other social networking site. It’s about creating and maintaining the right image in order to get the results you want.